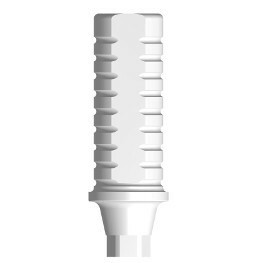 The millimetre grooves allow for the vertical embedding of wax or plastic material, withstanding compressive and traction stress during the production or during clinical use. The footing area precisely delimits structure preparation. 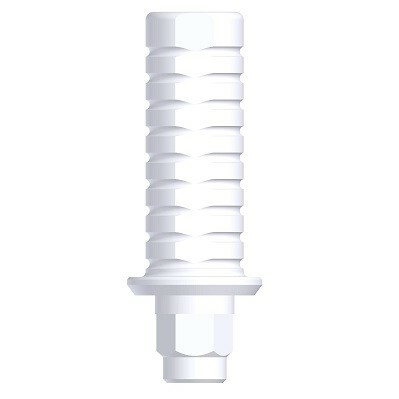 A perfect joint with normal plastic materials. 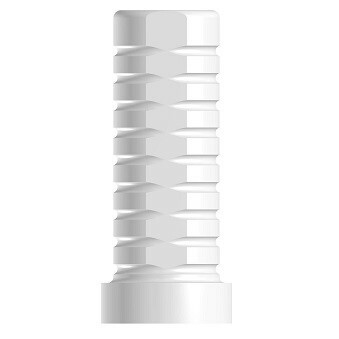 Made of sanitary polyoxymethylene, the same material used to make permanent clinical components, it is totally castable and allows for high-quality machining to ensure suitable shapes and sizes. 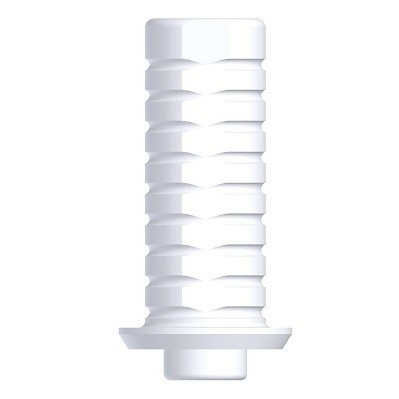 Designed in diverse diameters, for different implant connections, internal or external and over abutments. 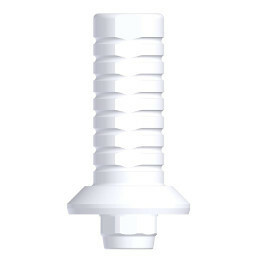 Available for single tooth prosthesis (engaging connection) and for multiple teeth prosthesis and dental bridges (non-engaging connections).